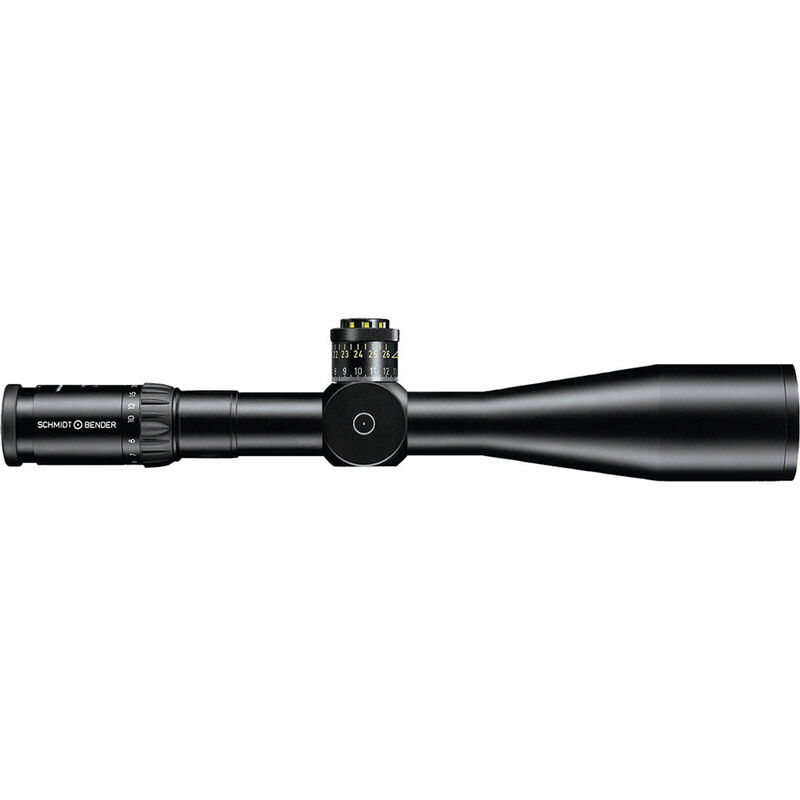 Purpose-built as a reliable tool for the extreme situations law enforcement and military tactical professionals too often find themselves in, the Schmidt & Bender 5-25x56 PM II/LP/MTC/LT Riflescope is designed to provide users with a versatile optic for use from medium to extreme long ranges without compromising performance at any distance. To accomplish this, they started with a broad and practical zoom range then outfitted the scope with a large objective that gives it enhanced low-light performance and keeps images bright and clear when the power is dialed up. Image brightness is further increased through the use of index-matched anti-reflection lens coatings that are custom-engineered to the glass used on the lens elements for maximum light transmission. This version of the PM II scope features locking MTC (More Tactile Clicks) windage and elevation turrets that allow users to easily count and keep track of adjustments without having to move your focus away from the eyepiece with the ability to lock the settings to prevent accidental adjustments. Its 0.1 mrad per click impact point correction gets users on-target faster with higher precision, the turrets rotate in a counter-clockwise direction, with the elevation turret traveling through the 26 mrad adjustment range in two rotations. The windage turret moves through the ±6 mrad adjustment range in a single rotation. The scope's housing has a larger 34mm one-piece main-tube and is made of a lightweight aluminum alloy that has a scratch and corrosion-resistant matte black anodized finish. The housing is nitrogen-filled to provide the scope with fogproof performance in all weather, and is O-ring sealed to be waterproof. In accordance with MIL-STD-810 G Method 512 to the PMII/LP was tested by submerging it in saltwater to a depth of 82 feet for 10 hours without leaks.